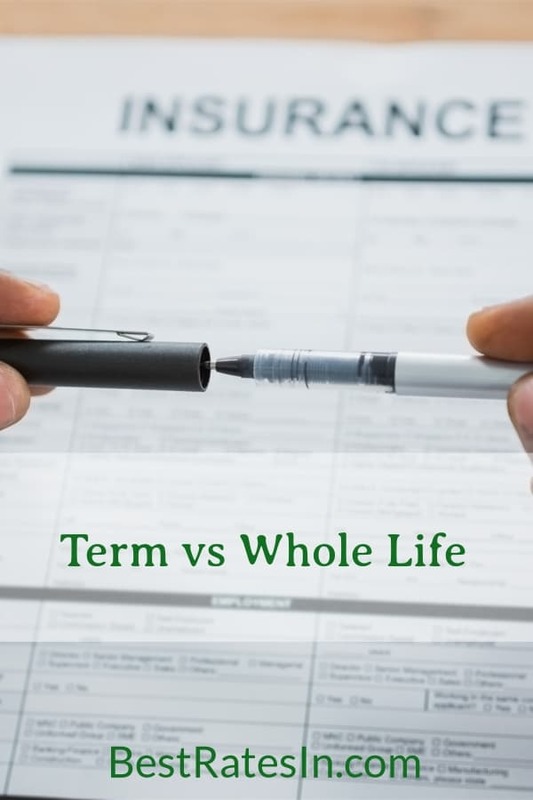 If you struggle to understand the difference between term and whole life insurance, this article is for you. As an agent of 14+ years, I know sometimes even I fail to understand the nuances. So then how do you, the consumer, expect to understand and make a good decision about life insurance for you and your family? I find a metaphor helps. Remember the shock you felt when you first heard about Michael Phelps’ 12,000 calorie diet? If this is news to you, it’s the truth. Of course, you know Michael Phelps, the 21-time gold medalist swimmer for the U.S.A. But did you know that all the man did while training for the Olympics was eat, swim, and sleep? It takes a massive amount of calories to sustain a high performance body swimming upwards of 6 hours per day. Breakfast: Three fried-egg sandwiches with cheese, lettuce, tomatoes, fried onions and mayonnaise. Two cups of coffee. One five-egg omelette. One bowl of grain. Three slices of French toast topped. Three chocolate-chip pancakes. Lunch: One pound of pasta. Two large ham and cheese sandwiches with mayonnaise on white bread, plus energy drinks that supply him with another 1,000 calories. Dinner: One pound of pasta, an entire pizza and even more energy drinks. Here’s the way I look at life insurance like Phelps’ diet when it comes to term and whole life insurance. A 12,000 calorie per day diet can work well for some people. If you’re 99% lean muscle and exercise without stopping, it’s crucial to match your body style and requirements to an appropriate diet plan. Similarly, in the insurance space, some people may need a hefty insurance plan, or the equivalent of a 12,000 calorie diet. And for those people, whole life insurance could make sense. Put in the right hands, whole life has some nice benefits such as tax deferral and tax free loans. After all, some people have “special needs” and need a heftier diet. It can be especially good in these situations. Business Owners – You may want to use a whole life insurance plan to fund a company sponsored retirement plan. Wealthy with Large or Complicated Estate – You may need permanent coverage to pay for estate taxes or provide liquid cash to your heirs upon your passing. Term won’t work here. Asset Protection – Perhaps you’re a doctor or have another profession where you’re concerned about getting sued. Tying up a portion of your wealth into the cash value of a life insurance plan could act as a layer of asset protection in some states. Health Concerns – In many cases, if you have a difficult-to-insure medical issue like diabetes, sleep apnea, depression, or a history of stroke or heart attack, it can be difficult to get rated fairly under a term insurance plan. Permanent plans like universal life or whole life tend to be a bit more lenient on approving you. Life Insurance as an Investment – I would only recommend it if you’re a savvy investor, perhaps even an accredited investor. Whole life insurance returns are not easy to understand, and I think for investment purposes, these plans are better left to investors who are disciplined, are concerned less about return, and can easily afford the premiums. But what if you’re an ordinary Joe or Jane? But say you don’t exercise 6 hours per day. How would that 12,000 calorie diet work for you? Well, if you’re like most of us, with regular dietary needs, your body couldn’t sustain it. You’d become obese and the diet could even kill you within months. That’s sort of the way I look at whole life insurance. It’s great for the right person. In the insurance and investment space, we talk a lot about “suitability”. Just like the Phelps diet isn’t suitable for most people, I don’t think whole life insurance policies are suitable for the masses. “There’s no other investment with tax benefits like this. First, you can contribute as much as you want (not limited to a max income like IRA’s). But here’s what insurance brokers don’t tell you. And as you’ll see below, affordability is important. Low Returns – The average whole life insurance policy only gets a *6% return over 30 years, according to Dave Ramsey, and most people won’t even break even for 7 to 10 years into the plan. It’s Confusing – I’ve been studying life insurance for over 14 years, and still have a hard time understanding the nuances of whole life. Forced “Contributions” – You can’t “miss a premium” the way you might decide not to invest in your 401k or IRA one year. If you miss a contribution to an investment account, no big deal. But miss a whole life premium and it’s a big problem. Listen. Unless you’re swimming 6 hours per day, you probably wouldn’t be able to eat 12,000 calories if you tried. Similarly, unless you’re making $100K+ per year, a consistent $500 to $800 monthly premium would be hard for anyone to make. The problem with whole life insurance premiums is they must be paid every month like clockwork. If you miss a premium, it must be paid anyway. What happens is the policy “borrows” the premium from its cash value at an interest rate. Sooner or later you must make up the missed premiums with interest, or at least keep your cash value at a sustainable level, or you’ll be in jeopardy of losing your entire “investment.” That’s a policy lapse. Note: Many whole life policies do include riders that protect you when “life happens”, such as if you lose your job or become disabled or critically injured, which helps you roll with some of life’s punches if you have an expensive whole life insurance premium. So my biggest issue with whole life for “everyone” is affordability and suitability. Few people can afford the premiums and a large percentage of them must let their policies go within the first 10 years of buying them. These people need the equivalent of a 2,000 calorie diet – term insurance – which I will introduce below. Why would you possibly need life insurance when you’re in your 70’s or 80’s? If you own a home, it should be paid off by then. If you have children, they should all be grown and no longer dependent on you financially. So why would you need permanent insurance? That’s why most people should buy term. Term life insurance is the affordable, “less filling” version of life insurance. It’s more appropriate for most peoples’ needs since according to LIMRA, 67% of Americans buy life insurance to help replace the lost income of a wage earner. If the average worker plans to work for 15 to 30 years before retirement, term insurance can cover their life during their entire employment. Say you have a mortgage or dependents, and need some protection until you pay down that loan or until the kids are out of the house. That’s probably a 20 to 30 year life insurance need. You’ll likely pay 1/20th the cost of whole life insurance by purchasing a term policy instead. It’s quick and inexpensive to buy. You can get it without taking a medical exam. If fact, if you’re in good health, you could probably do a quick search for online term life insurance right now and be covered in the next 30 minutes. Bottom Line: If you’re looking to make the best decision on term vs whole life insurance, I recommend you speak to two to three insurance brokers to help you weigh the pros and cons for your situation. You don’t want to be eating a 12,000 calorie diet when a 2,000 calorie plan will work just fine, and vice versa.